Photography- a passion, a hobby, a career! It means many things to many people. 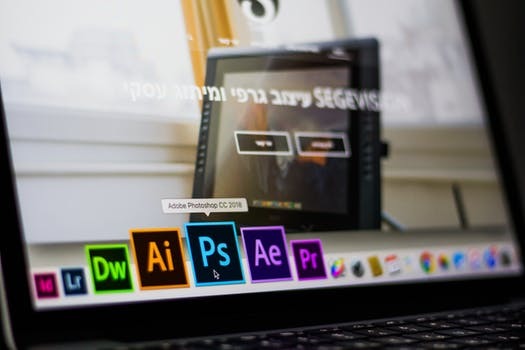 But we cannot deny that in today’s days and age, photography and photo editing software is an integral part of our lives. From a simple click to show off what we are having for dinner to a mesmerizing click of the rising sun through the mountains, we are sharing clicks always. But once a person crosses the threshold of amateurism and professionalism, just the skill of clicking good pictures falls short. Most of our modern DSLRs can click stunning pictures at a raw format. But to give it that professional look and feel, photo editing software is a must. A nicely edited photo has the requisite depth and appeal along with the necessary technical aspects. Ask any professional photographer and they would tell you that they have mastered photo editing software techniques for good reasons. Here are a few of the reasons photo editing software can help boost a career in photography. This has happened to all of us. We see the most mind-blowing natural beauty in front of our eyes, we click a picture and the picture, well, does not have the oomph. That is because our eyes see everything in 3D and a picture is a 2D representation of that 3D vision. Hence it more than often lacks in reproducing the depth and the vividness. This is where photo editing software comes into the fray. They do not need to be costly and complex ones but simple ones like Fotoworks XL photo editing software for PC that you can get at as a free download. Editing the picture with that photo editing software can add the missing depth and colors to bring to the front what you actually saw. Pictures are not always for scenic beauty and tourist locations as sometimes they carry a meaning. Maybe you as a photographer want to draw the attention of the viewer to a certain aspect of the image. But the camera will not be able to do it sufficiently each time. Using a photo editing software, photographers often convert an image into black and white keeping only the focal point of the image in color. Photo editing software can be a simple and easy way to divert the attention towards what is important. If you have started your journey as a professional photographer, sooner or later you will need to present collages of your best work or create a collage to represent a theme. Converting individual images into a collage with photo editing software required a specific skill set before the advent of image editing. Most of the times, it was the job of someone else other than the photographer to create the collage. But now, you can simply edit images and create collages with common photo editing techniques. Also, knowing how to edit images gives you experience in thematic handling of pictures which is a great asset to any photographer. Often people add special effects to their pictures with the photo editing software, just for fun. Yes, it is fun to do so but sometimes it might be a necessity as well. For example, if your job requires you to show a high-end sport car in motion with the requisite of the blurring effect, you need to catch one such car in action. Even then, the clicks may not bring up the blurry needed to emphasize the motion enough. Is there a solution? Yes, photo editing software like the one you can use to edit your pictures in a simple and easy way. With this tool, just click a picture of the car as it stands and you can easily use filters to depict the motion blur. Neat for a photographer with limited resources, isn’t it? Using Photo editing software is one of those skills where you are only bound by your imagination. With the help of modern simple photo editing software tools, you can give your images whatever twist you want and play around until you find something that is visually stunning. Trial and error is the key but this photo editor provides you with editing solutions that are perfect for both beginners and experts. Having such a tool at your disposal allows you to produce visual treats that would be gobbled by media and viewers from around the world. 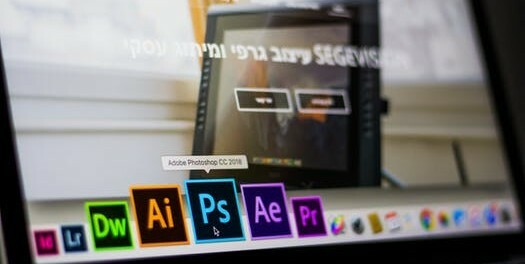 There is a common misconception that an edited photo is not good enough to be considered a work of high-quality photography and photo editing software. But as mentioned earlier, no camera in the world can reproduce what the human eyes see hence a photo editing software is the most important weapon a professional photographer has in his arsenal. An edited image does not mean fake image, it just means that the image has been enhanced for the viewing pleasure. Keeping this in mind, keep brushing up your photo editing skills as this would give your photography career the much-needed boost.